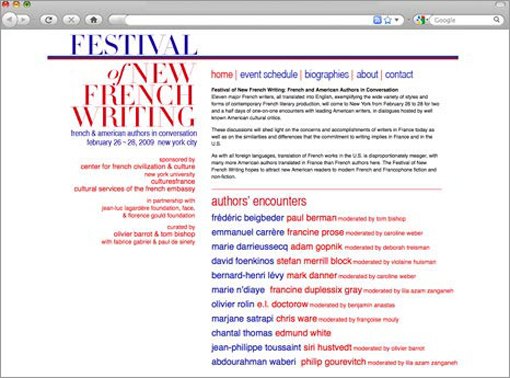 New York University created and sponsored the Festival of New French Writing which shed light on the concerns and accomplishments of writers in France today and on the similarities and differences that the commitment to writing implies in France and in the U.S. Studio K&M helped promote the festival through an elegant and usable website that featured bios and photos of the participants. And we did it in under three weeks during the Christmas/New year holidays – unheard of in our world!